but the second part is easy... reading it!! Enjoy all of the books in the world! P.S. Will you share us with your book loving friends? This is truly the truth. We all need to cherish a good book, by opening and closing it properly... 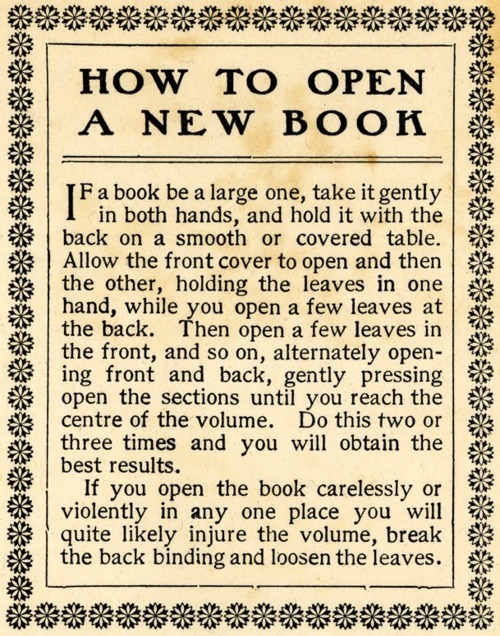 Yes i do think that there is a proper way to open a book! sadly that has not always been the case I must confess that I have not always opened a new good book the right way...shame on me! I feel as if this should be printed in the front of every book. Love it Little Sister! This weekend I am going to read a whole book. And I promise to open it carefully!! It's so great to be back here with you! In honor of it, I will enjoy a great book this weekend. Yes! Good to be back. Why didn't this occur to all of us who are book readers? What marvelous instruction! I shall take the current book I'm reading and about a tenth through, and set it on a table and open it properly. Hopefully, then, when I'm sitting with it in my lap I won't be fighting it all the time to keep it open.